Stuhlmuller Vineyards sits at the southern edge of Alexander Valley where it borders both Chalk Hill and the Russian River Valley AVAs. Five blocks of the estate vineyard are planted with Chardonnay grapes, 80% of which are the sought-after Gauer Upper Barn clone. The wine was brought up in small barrels (82%) and larger casks (18%), all of which were French oak (6% new). The wine was fermented on the lees for eight months and underwent 80% indigenous malolactic fermentation. 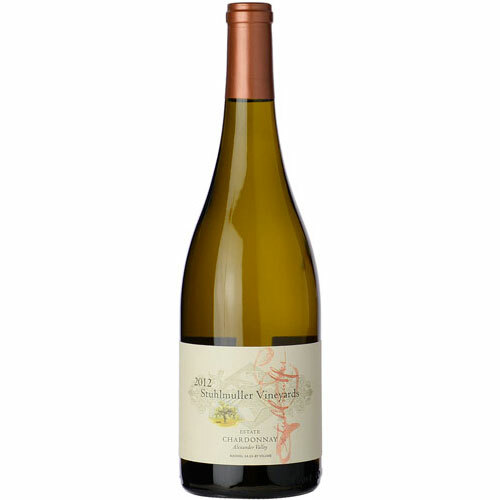 The winery's vintage note: “This medium-bodied wine offers an alluring orchard-fruit nose of ripe peach, and pear, as well as notes of lemon candy, honeysuckle and wet stone minerality. The lovely fruit continues on the palate, where it is accentuated by harmonious acidity, subtle oak and hints of lemon cream and sweet thyme.